When I started my photography business, I only knew how to dial in my camera settings. So let’s keep this simple — checklist style. Here’s what I did to get my photography business off the ground and the tools and resources I used to do it! I totally suggest you crank up the music while you check off these to-dos. Currently obsessed with Lauren Daigle’s Look Up Child. I’m also including some tips from my Instagram community and you’ll see those in little red boxes! Ready to get going? Here’s a breakdown of what you’ll find in that free checklist. Why are you starting this business? Take a minute and write it down… every single reason you can think of. But it has changed and I’d love to give you the inside scoop on how to market your photography business with your blog. Here’s the rundown: blog every single shoot that you do. It will force you to get better. To never throw in the towel on a shoot because you’re tired or stressed or whatever. In fact, I suggest blogging your shoot 2-3 days after your portrait session. Shooting a wedding? I’d aim for 4-5 days. And how do you rock your SEO (that’s search engine optimization… aka how you can get found in a google search), keep your blog looking great and make sure people get to see all of your images? Make sure your blog is loading fast. I get it. Haha! But this will pay off… literally. So stay with me and I’ll show you how to do this so fast and really easily. So how do you keep your blog’s load time fast? You resize every single image that you put on your blog. 900 pixels wide. Keyword that image title. And you could do all of this manually in Photoshop or you could do it super fast and you’ll have your images resized and the titles keyword-ed for SEO. Watch this video below and I’ll show you exactly how to do this for every blog post in a flash with BlogStomp. Let’s get your blog up and running, okay?! When I was looking to buy my first camera, I was so confused by this “camera body” talk. I mean… shouldn’t the camera and the lens come together? You can get a camera and a lens together with a “kit” but I don’t recommend it. Most of the kits are filled with things that you don’t really need and lenses you won’t end up using. So I suggest to buy the camera body — aka just the camera — and a lens or two. My philosophy is that you can make any camera work. All of these cameras do pretty well in low light which is something you’ll face if you’re shooting weddings. But the Canon 1DX Mark II outperforms them all. If I was just starting, I’d buy the Canon 6D (linked above) with 1-2 of the lenses below and slowly upgrade the camera body as your business grows. 1. Canon 50 mm — This is one of my favorite lenses because it’s so versatile. You can use this in a senior session, newborn session, wedding or even for landscapes! 2. Canon 85 mm — This lens has the best bokeh (aka blur) you can imagine. It’s so buttery and the skin tones are creamy when you drop the aperture down to f/1.4 or even f/2.0. 3. Canon 35 mm — This is a wide angle lens and must if you find yourself shooting in tight spaces or if you love to be close to your subject(s) without it looking close. 4. Canon 100 Macro — This lens is a must for those ring shots or if you’re a newborn photographer! You can get a really great close-up without any focusing issues! You just can’t get close to a ring with a 50mm lens. 5. Canon 70-200 — The only zoom lens I’d use on a wedding day! Great for close ups during the ceremony and for a second shooter to throw on for some tighter candid shots. There are so many lenses you can add to your collection. I love to have a variety of lenses and select a few for each shoot depending on what it is. There are two places you’ll want to store your images other than your computer: external hard drive and the cloud. I buy a new external hard drive for each year because it cuts down on the wear and tear of the drive (slight bumps can lead to a failed drive) and because it’s easier to keep organized. This WD hard drive is my all-time favorite. It’s light and it’s durable. The older versions of hard drives have a metal casing and if you bump it, you always wonder if you just killed the drive. I never worry about it with this one. It lives in the back of my laptop bag so that I can backup on the go. I love using Pass Plus to backup my photos in the cloud. It’s a monthly subscription and you can upgrade as you need. You just create a new gallery and upload your images! From there you can send the gallery to a client or just use it as a virtual backup. Don’t let this intimidate you. It’s super easy, but it sure felt like it fit that “too much” category for me. And it’s an important step to getting your business official and legal. Just do a quick google search on how to get a business license with your city and state. Or google for your country if you’re not in the U.S.
What if I told you there was a way to make this easier than baking a pie? All you need to do is fill in your info because these contracts are like templates. Okay, they’re not like templates, they are templates. Portrait Photography Contract — Photographing newborns, seniors or families? This contract will cover you and make sure that you and your clients are taken care of. Use this even if you’re shooting for free. 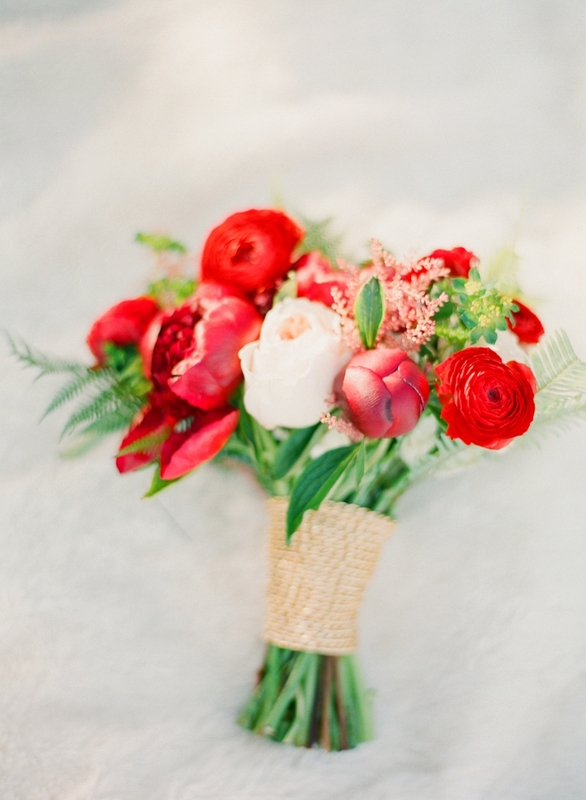 Wedding Photography Contract — You’ve got to have this in place from the get-go. This is what seals the deal on booking you whether you’re working for a friend or someone who found you on the ‘gram. Print Release Contract — If you plan to hand over the digital files, you’ll need this print release. Even if you’re shooting for free, you’ve got to have it. Mini Sessions Contract — Doing spring, summer, fall or winter mini sessions? This contract will seal the deal on those sessions too so you don’t have to worry about not getting paid with no-shows. You only need this contract if you’re doing mini sessions. All that gear that you’ve just purchased? Let’s make sure it’s protected with insurance. True story: I was about to cancel my insurance because I had backup cameras for my backup cameras. I was second shooting and left my camera at the back of the room to go help the lead photographer. When I came back, my camera was in… pieces. To replace all of that gear, I would have been looking at $5,000. But because I was insured, I only had to pay the deductible (which was $500 or $800). You can get insured through a PPA membership or through whoever insures your house. Just make sure that it isn’t falling under your home insurance. You will want to be covered even when you take your camera outside. Take your EIN that you were given when you got your business license to your bank and set up a separate bank account for your business. You’ll want to only use your business card for business things. Never buy business things on your personal card. Never buy personal things on your business card. It costs a lot to get a business up and running! So save all your receipts — in your email folder, filed away in your home office — wherever you want to keep track of them because these receipts are going to add up and become tax deductions. Running a small business means that you will pay a bit more in taxes. Kind of. If you work a corporate job, you pay part of the taxes and the business you’re working for pays part of your taxes. If you work for yourself, you pay part of the taxes and the business pays part of the taxes. Since you happen to own your business, it might feel like you’re paying extra taxes. But let me tell you a secret to really thriving in business: see yourself as separate from your business. This will give you the CEO mindset that you need to have in order to succeed. And be thankful for anything you owe in taxes! That means what you’re doing is working! You’re building a successful business! Asking for money in the beginning might feel a little strange. Going to be totally candid here: I struggled to talk about money with my clients “back in the days.” I thought it was just awkward for everyone. But you know what made it awkward? Once I just owned the fact that this was a business and I had agreed on a payment with my clients, things got a lot less weird. Here’s what I suggest: you clients should pay you ½ of the total package when they get on your calendar and ½ before the shoot. For a wedding, you could charge ½ to book you (with a signed contract) and ½ 30 days before the wedding. For a newborn session, you could charge ½ to book you (with a signed contract) and ½ the day of the shoot. Because let’s get real: the last thing a new mom needs to worry about the day she gives birth is writing a check. Ha! For a senior session, you could charge ½ to book you (with a signed contract) and ½ 1 week before the session. Payments are natural reminders of the investment that your clients are making. Once you’re booking a lot of clients, you could use something like Dubsado to manage those clients. In your first year of business, I suggest setting aside 30% of every dollar you bring in for taxes. On top of that, I suggest setting aside 10% for savings. You probably won’t owe that much in taxes — in fast, it’s highly unlikely that you would owe 30% in taxes — but it will help you build your savings and give you an idea of the overall numbers. Aka yearly financials as opposed to monthly financials. I do this in a separate business account that is just for savings. Take care of every dollar that you bring in. You can do this with a system like YNAB (You Need A Budget) or in an Excel sheet. Know where every dollar is going and eliminate any wasteful spending. You might hear someone say that you should never do a free shoot. 1. You’re still learning this thing. All of the researching and googling can’t teach you what going out there and actually shooting will teach you. And you need the freedom to make mistakes… to not know how to pose someone and not know how to approach that lighting situation. These are all opportunities to learn and grow and you need that in the photography field. Time to get your social media channels and your website loaded with your work! You know, that way people will reach out and want to pay for a session with you. Doing free shoots will give you a chance to find your photographic voice all while building your portfolio and creating some word of mouth momentum! Once you feel confident that you can deliver on a session, it’s time to charge! Even if you know you can grow — which just so you know… you’ll be seeing ways you can grow for your entire career — it’s time to charge. Pro tip: Whatever you do, don’t reach out on facebook and say that you’re doing free shoots. Instead, you can just reach out to people individually and ask them if they’d be up for a shoot. This helps them and it helps your business… which is why you’re putting in the time planning the shoot, taking the photos and editing them. Plus, it’s going to cost you to deliver those photos so it’s a good move from a marketing perspective. And you’re probably reaching out to people who would already want to share about your business launch! Step 14: To niche or not to niche? What’s this “niche” thing all about anyway?! There are a lot of ways that you can create and market to a niche in your business. Option 1: You could say that you only shoot weddings. Or you only photograph families. This works great if you’re got inquiries rolling in like crazy, but it’s not a good move when you’re just starting out. Option 2: You could focus on developing your photographic style and create that work consistently. I like to think about it this way: I should be able to put 2 random photos that I have on my website side-by-side and they would look good together. This means that my work doesn’t clash from shoot to shoot. There are a lot… and I mean a lot… of ways that you can niche down in your business, but while you’re just getting started, stick with option #2. This is where it starts to really get fun. And maybe a bit nerve wracking. But don’t do all this work and then not share your work. Trust me, I get how intimidating it can be to share your work. You’re putting yourself out there. What are people going to think? Are they going to like it? Hate it? Don’t worry about what other people are going to think about you starting a photography business. That’s just going to hold you up. You can do this. Really. You probably already have social media accounts: twitter, facebook, instagram and pinterest. Don’t just change the names of the accounts you already have. Go and create new accounts. You’ll be starting from scratch, but you will be able to see exactly how your business is growing in the social world. Step 16: Launch your business! Make a big deal out of starting your business! Throw a party if you want in your favorite coffee shop. Or throw an online party with a giveaway. Ask your friends to share about it. Trust me, they want to be part of this! They love you afterall. Post to your blog every time you do a session. Post to your social media accounts 3-5 times a week. Put in the work and watch your business grow! Just like you’d get an allowance for books, conferences, courses and tools in a corporate job, you’ll want to invest in your business. Here’s a good rule of thumb: you should get a 10x return on anything you invest in. For example, since Sheri Holloway started using the Brittley Preset Suite, she has been seen able to increase her bottom wedding package from 2200 to $3300. And that’s for each wedding. If she shoots 20 weddings a year, that’s an extra $22,000 — from the Brittley Preset Suite. And you should expect that the more you invest, the more you will get on your return. Here’s a peek at the Brittley Preset Suite. They’re presets for Lightroom and you just have to click to edit your photo! I’ve taken my years of experience and created a set of mix-and-match presets and 2 signature presets that are inspired by film. Spend more time with your people. <— That’s what we’re all about here. Growing a business you love and getting you back to people. Here’s a good rule of thumb for investing in your business: if you spend $1,000 on a photography course, you should get a $10,000 return. If you spend $50 a month on your email marketing, your should be earning $500 from your email campaigns. If you spend $200 on presets, you should see a $2,000 return. I know, I know. Hang with me because you do not have to learn video here. There’s this super easy way for you to create a slideshow in Lightroom and you can do this for every photo session. What’s this going to do for you? Well a lot of the internet world is switching over to video-based content. So while people love looking at your photos, they’d love an entertaining video with your photos even more. This is one of the easiest ways you can get ahead of the crowd and set yourself apart in your industry: Create Lightroom slideshows! Aka your video portfolio. I have a video and a full post on this below. I created a free preset and a free checklist for you! So be sure to grab both of them below! 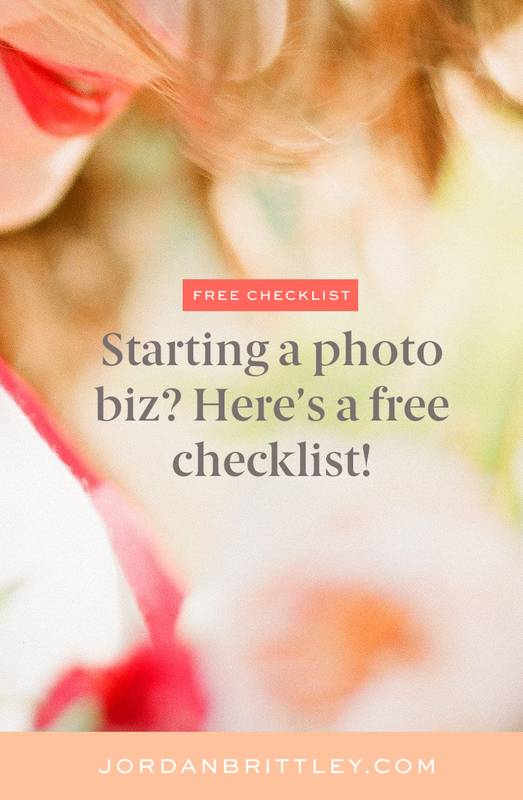 FREE Lightroom preset | FREE Starting a photography business checklist! Name your board "Business Tips" so I can find your faves! I’m excited for you! If you have any questions, leave a comment below. And if you know a friend who’d love this post, feel free to send it on over to them. The more, the merrier!